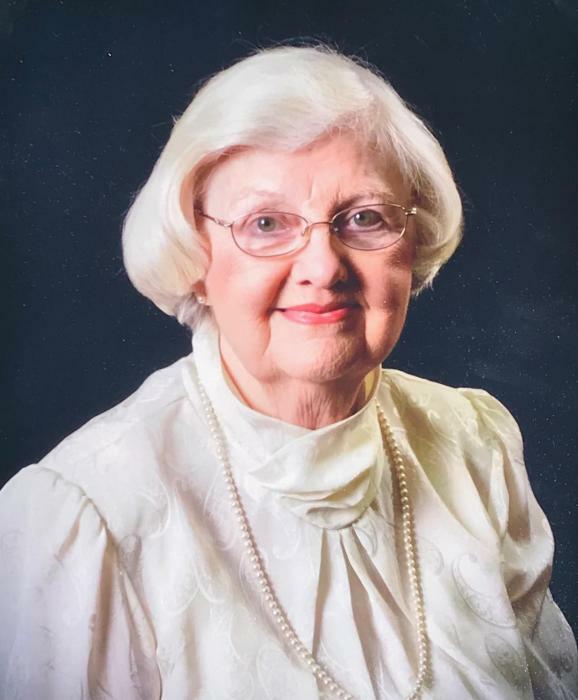 Gurley Mae Honrine Quinn, 85, of 303 Fairfax Street, passed away on Tuesday, April 9, 2019. Funeral services will be held on Friday, April 12th at 2:00 pm at Mount Vernon Baptist Church with the Rev. E.C. Mattocks officiating. Interment will follow in the Clinton City Cemetery. Born on June 18, 1933 in Sampson County, Gurley was the daughter of the late Johnny B. and Ethel Steed Honrine. She was the widow to Samuel Matthew Quinn and they were married for 59 years. She was a retired medical secretary from Sampson Regional Medical Center and dedicated member of Mount Vernon Baptist Church. Gurley was preceded in death by siblings, Louis Junior Honrine, James Lenwood Honrine, Richard Nelson Honrine, Vada Louise Honrine, Kathleen Honrine, and two infant sisters. She is survived by a daughter, Sandra Quinn Starling, son-in-law, Marvin Christopher Starling, and granddaughter, Anna Quinn Starling, all of Clinton. Visitation with family and friends will be held one hour prior to the service on Friday afternoon, beginning at 1:00 pm; and other times at the home of her daughter at 605 Underwood St., Clinton. In lieu of flowers, memorials may be made to the Mount Vernon Baptist Church Van Fund, at 3790 Faison Hwy., Clinton, N.C. 28328.